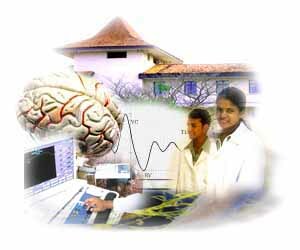 Welcome to the Department of Physiology, Faculty of Medicine, University of Peradeniya! Through these pages you will come to know of the contributions and services our department makes to the society and the country as a whole. Physiology is the study on how living systems function, on how vitality is maintained and on how we adapt to a wide array of different conditions and environments ranging from conception to childbirth, and from deep sea diving to space travel. The study of the function of human body in health is essential to comprehend the changes that occur in the human body in disease. The Department of Physiology at Peradeniya, takes great pride in contributing to the undergraduate medical curriculum by providing medical undergraduates with this foundation to the study of medicine. The Department of Physiology is located in the 2nd floor of the new preclinical building, and consists of practical laboratories, tutorial rooms, a seminar room, clinical skills lab and well equipped research laboratories. To be a centre of excellence by developing, promoting and disseminating the knowledge of Physiological Sciences through education, research and clinical services. Producing medical undergraduates who have a sound understanding in normal bodily functions, and are capable of applying the learnt knowledge in treating pathological conditions. Developing and maintaining high-standard physiology educational programmes that nurture a spirit of inquiry and self learning at the same time. Generation of new knowledge through ongoing basic and applied physiology research, in collaboration with other disciplines and institutions. Provision of up-to-date and good quality services to the community.